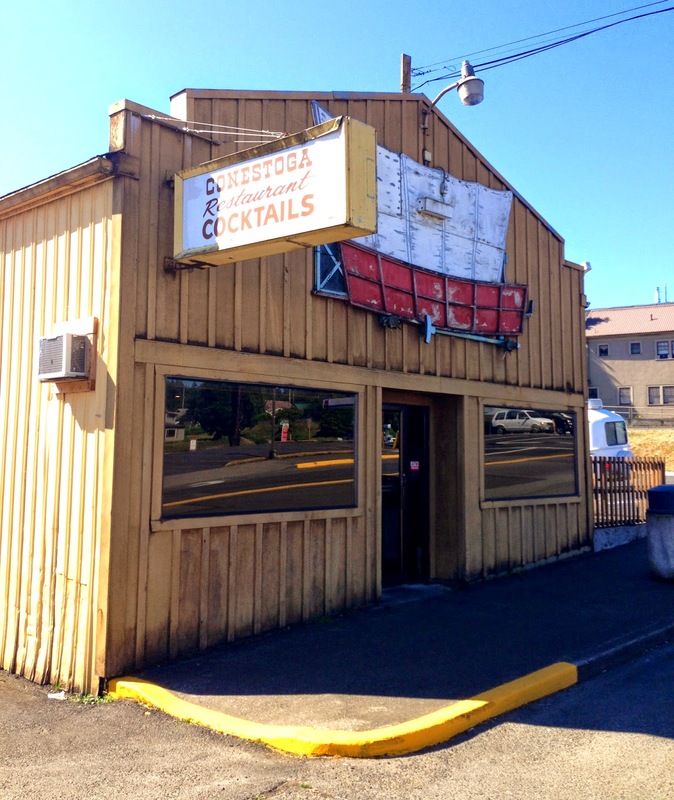 The Conestoga Restaurant and Bar is located "in downtown Clatskanie, across from Humps at the main stoplight." 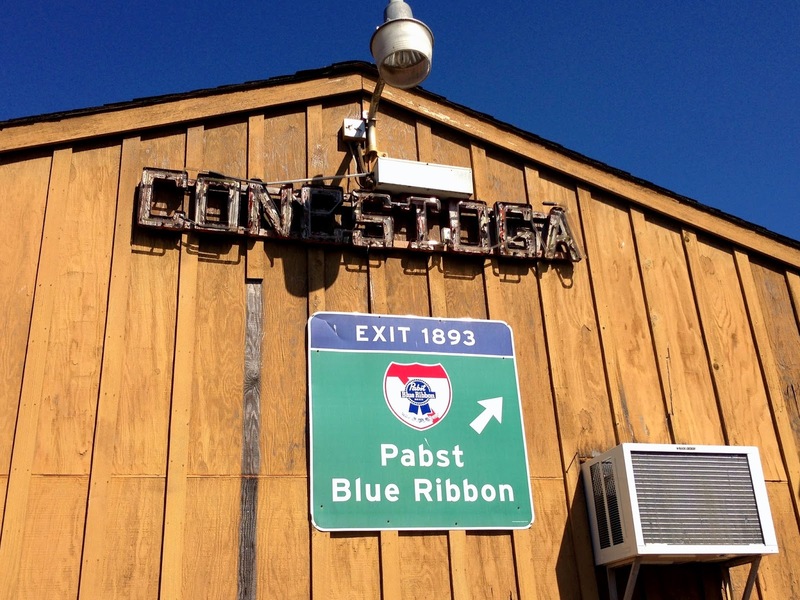 The iconic wheels were removed for safety, and now the red and white forms of the Conestoga wagon float mysteriously about the restaurant door. Inside is a diner, with a classic neighborhood dive in back. It's been cleaned up recently by some new owners, who improved the food, and will tell you about various types of businesses previously in the space, including, as it so often is in these small towns, the city mortuary.